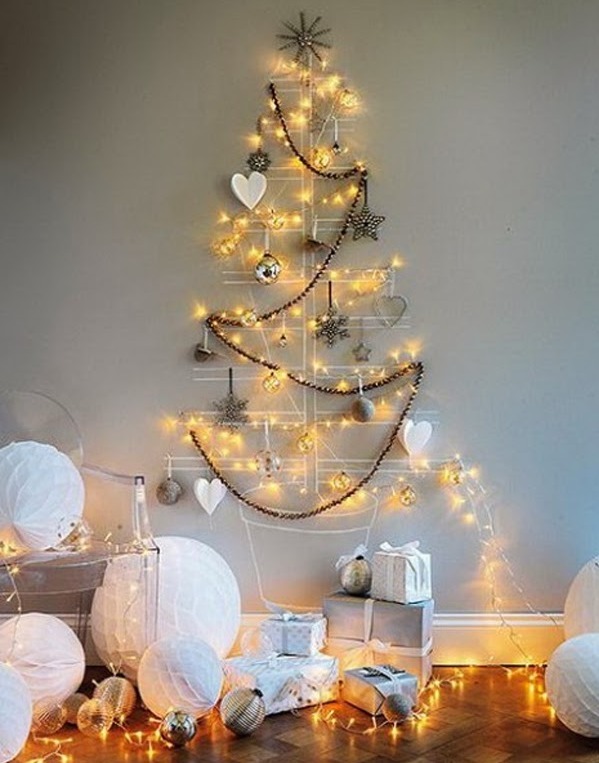 Christmas is one of the favorite holidays. 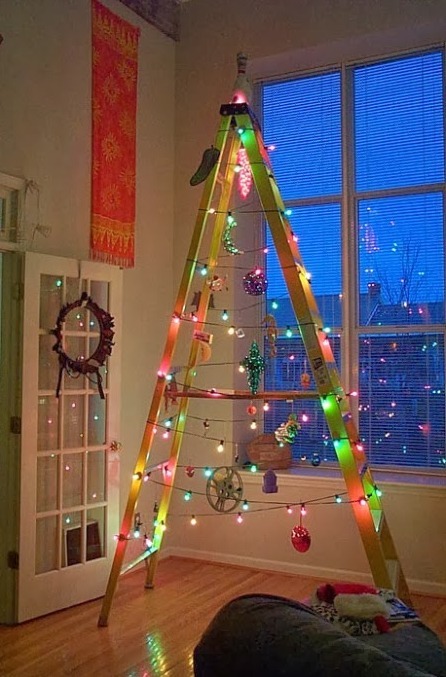 On this day each of us with enthusiasm, he decorate own home. 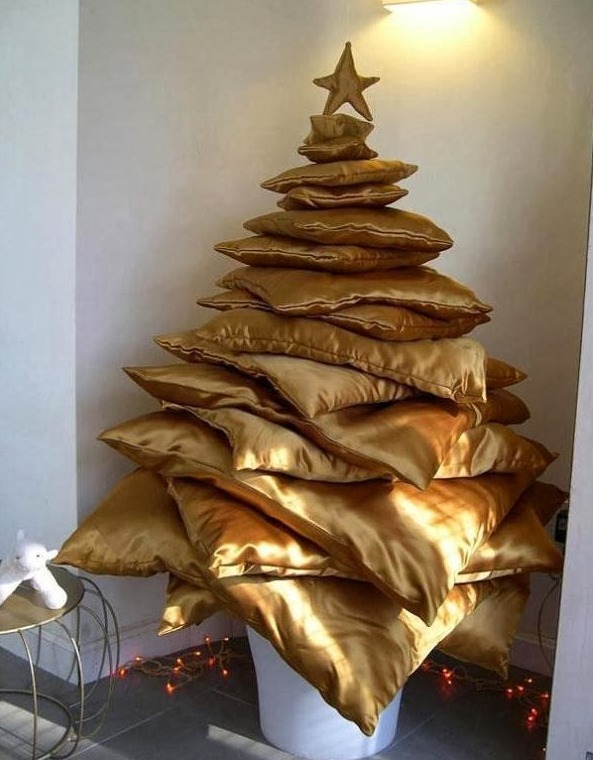 Christmas tree is inevitable decor of any home. 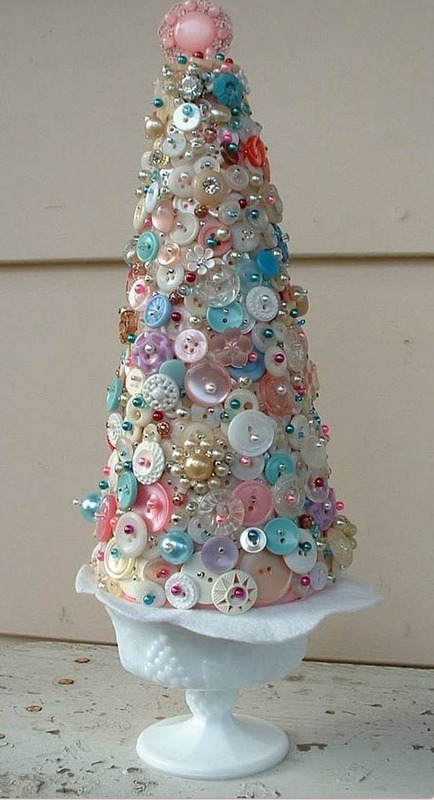 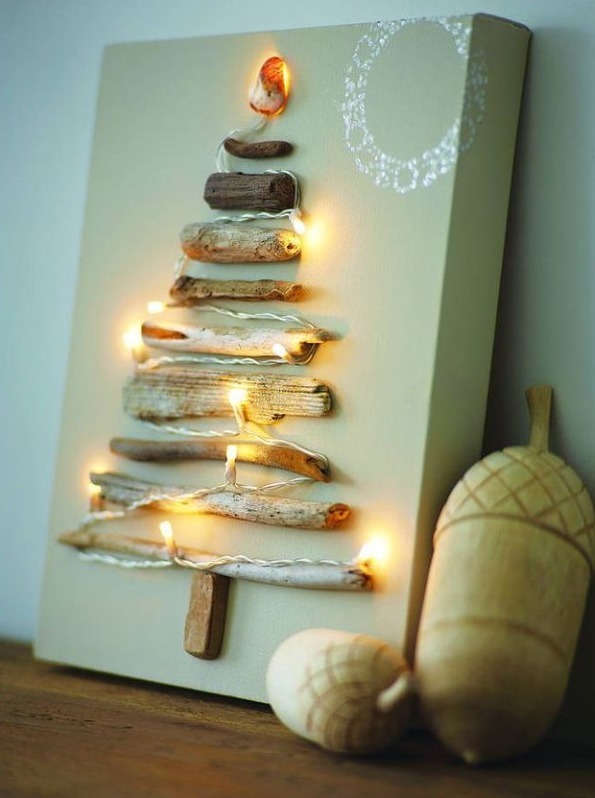 How you will decorate the christmas tree this year? 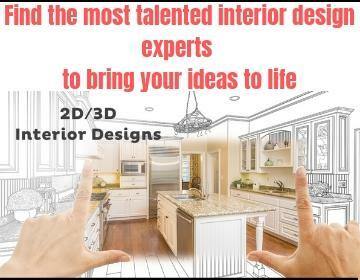 We will try to help you. 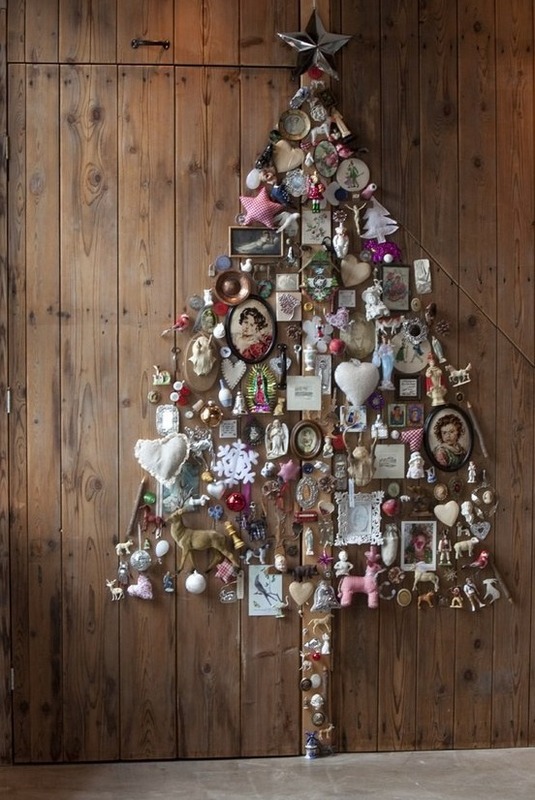 Decoration of christmas tree no need to be the same every year. 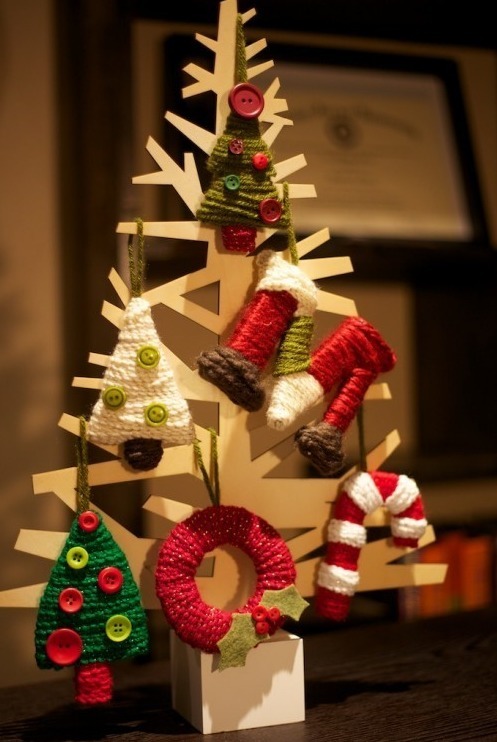 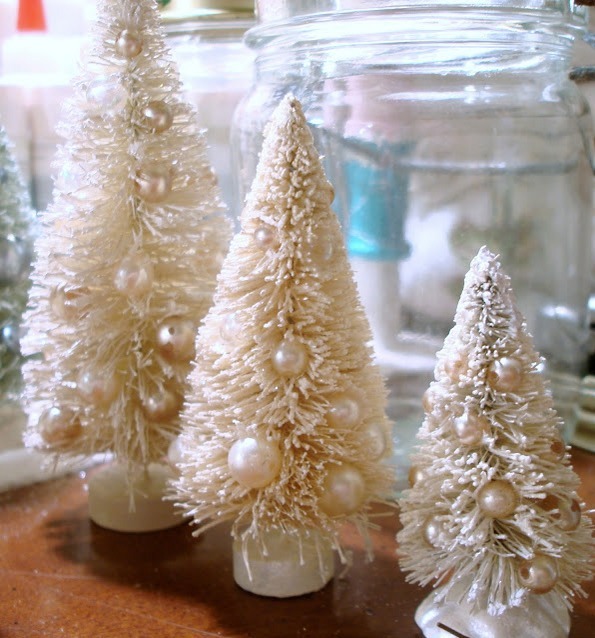 It has plenty ideas how we, simple and charming to decorate the Christmas tree. 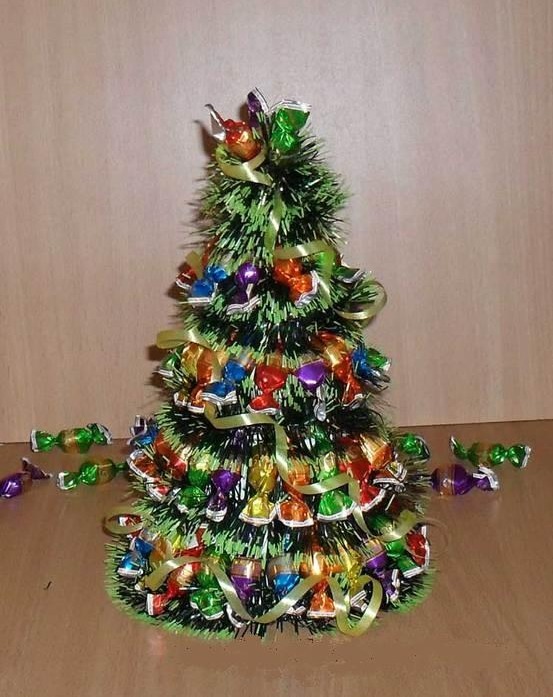 Lets start from the tree! 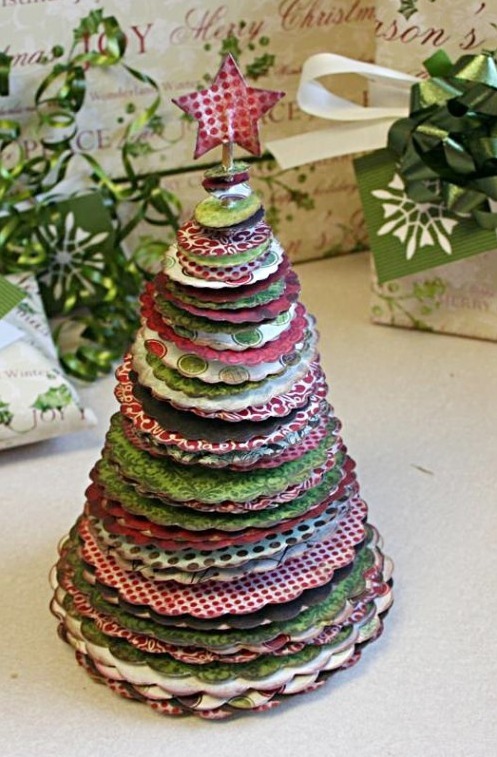 If you don’t want artificial or natural evergreen trees then you can opt for alternative christmas trees, make an original christmas tree from things that you already have in the home. 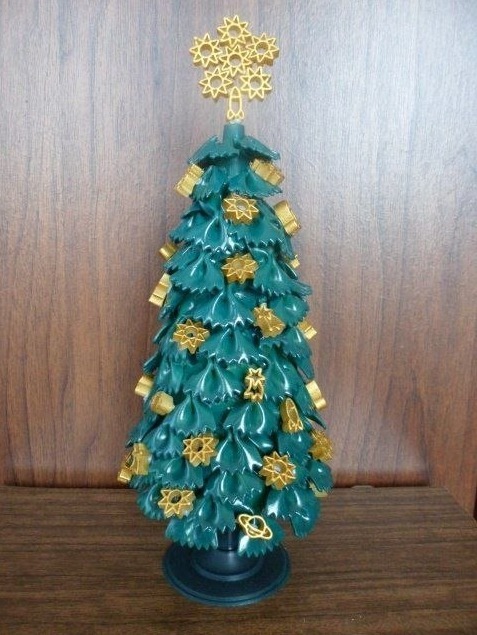 Decorate the tree on your way and save a lot of money on tree and decorations. 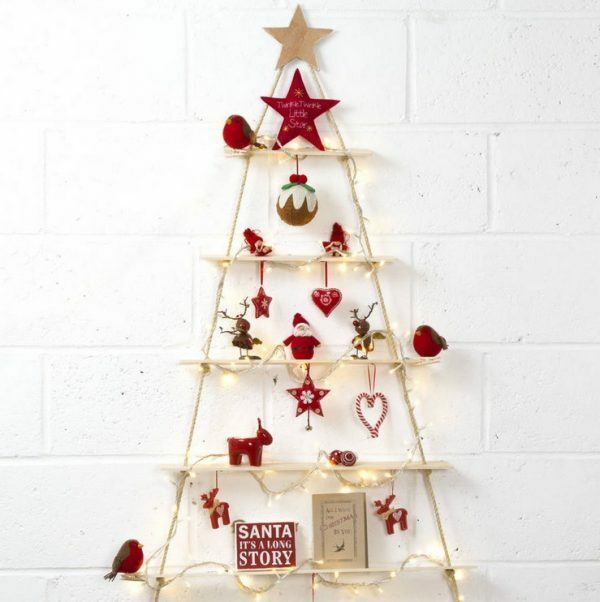 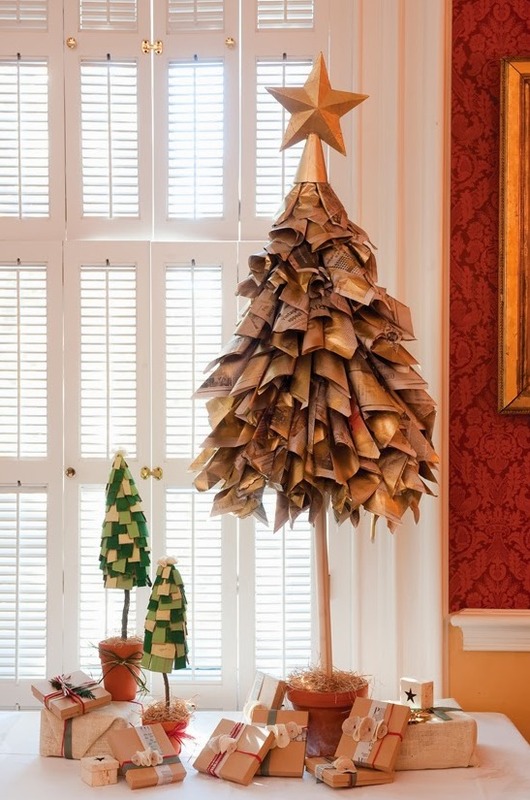 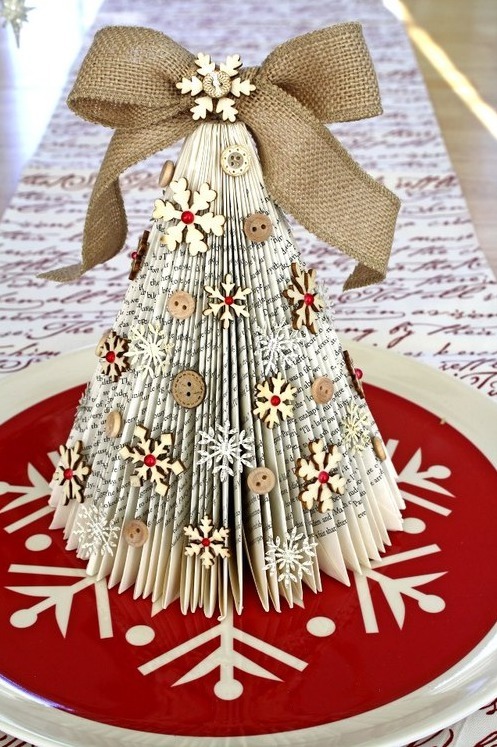 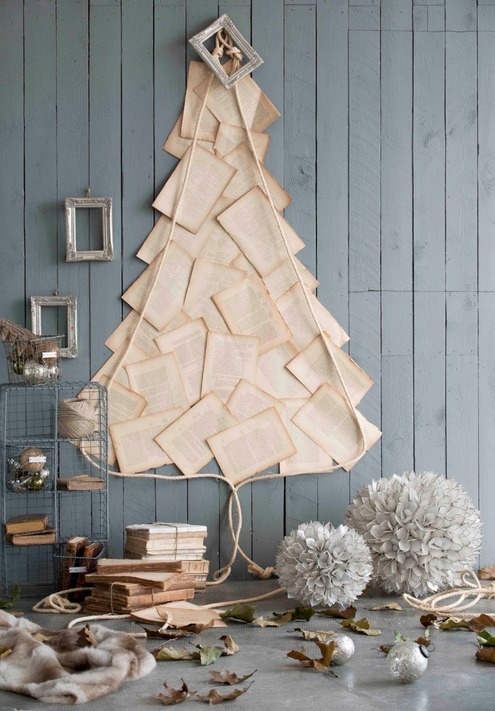 If you lack of space and want to have a beautiful, colorful tree then on the wall of the room you can make a creative form of tree from leaves of a book, decorations, pieces of wood, wood shelves in the form of a tree or to draw a tree and decorate with lights and other decorations. 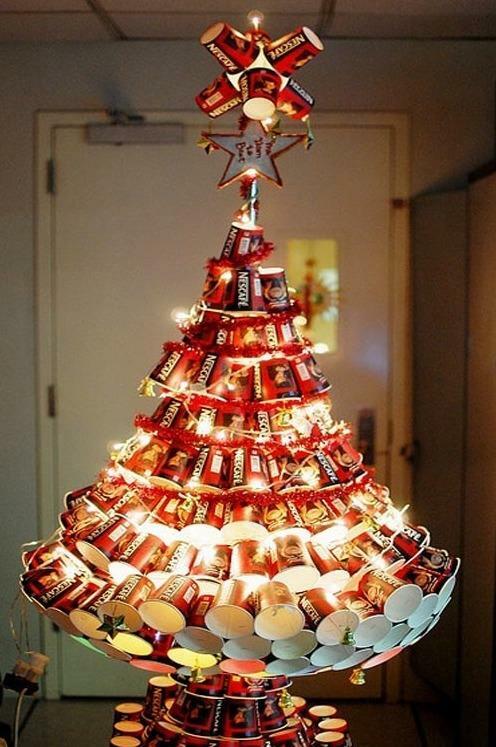 Finally someone said, pictures say all. 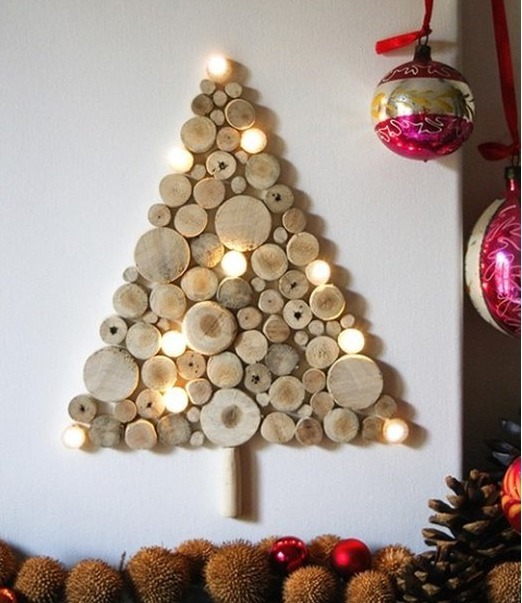 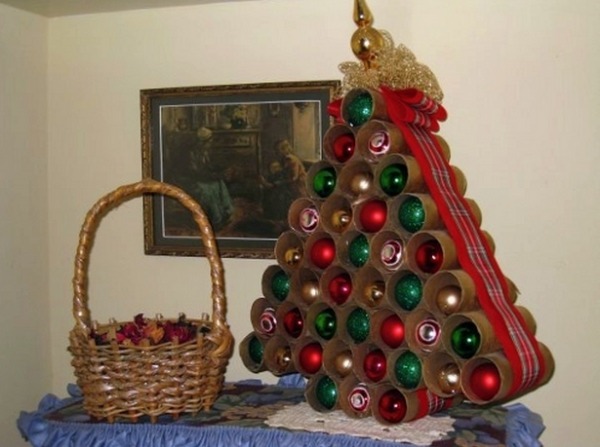 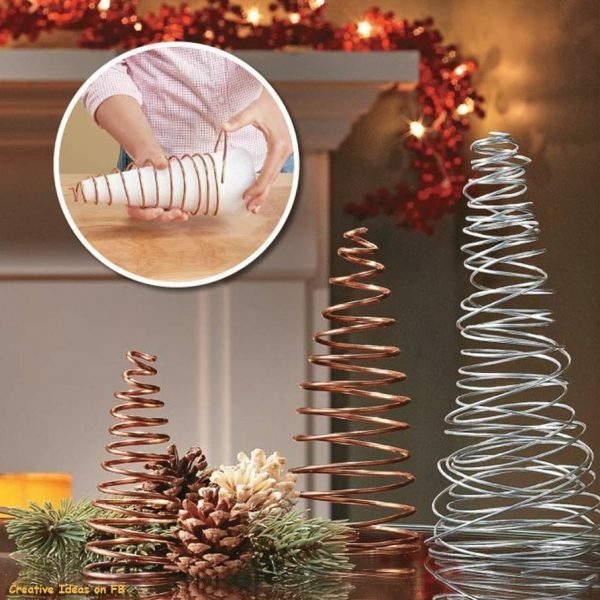 Look our choose of Christmas trees theat we found on the internet for your inspiration . 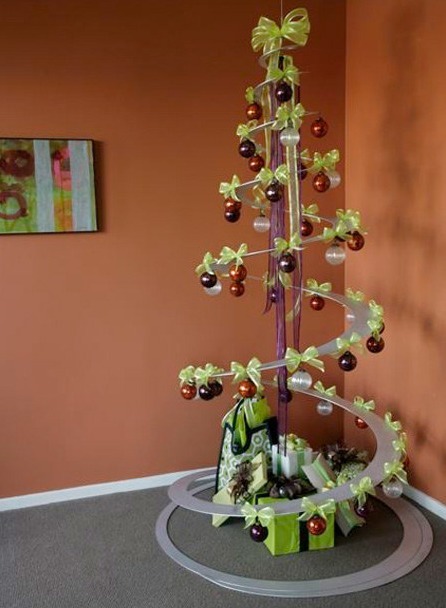 No mater what kind of tree you will choose, it will embellish your space and bring you joy in the holidays.